So simple and so stunning. 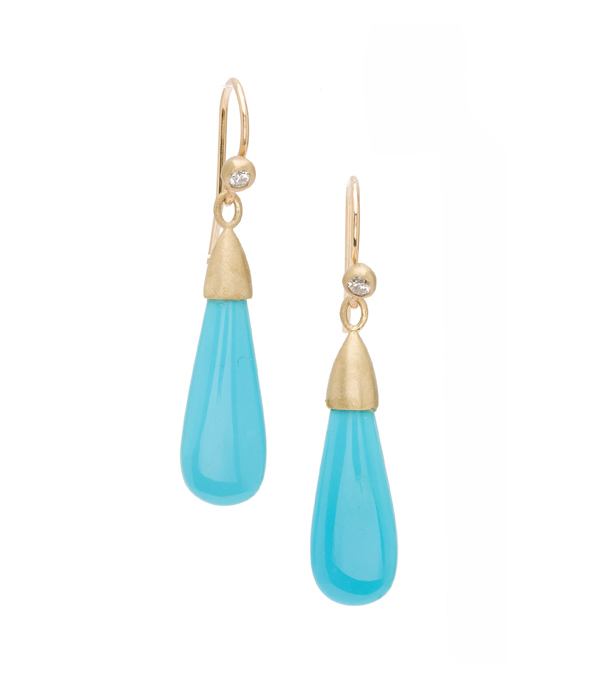 An elongated Arizona turquoise bead hangs from hand-shaped earwires accented with diamond set pods. Turquoise is meant to be a bringer of good luck. It has been found in the tombs and on the artifacts of many Egyptian Pharaohs and important people. Wearing these bright and cheery earrings would turn any day into your lucky one!